St. Andrew’s Park is more than just a place to live, it is a place to thrive. The state of the art new 720 pupil primary school, the John Locke Academy, which opened in September 2014 and the new public park, sports pitches and woodland walks along the River Pinn are all at the heart of St. Andrews Park. A short distance from the outstanding Brunel University, the area is full of places to learn and explore. 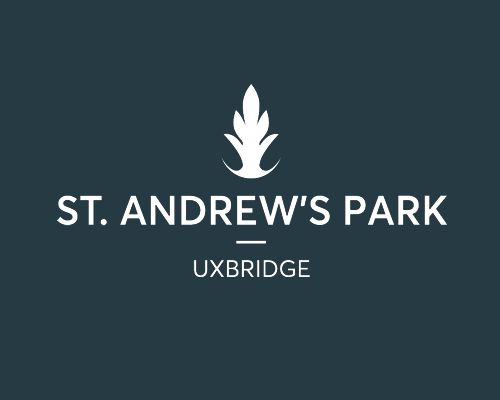 The museum, theatre, shops, restaurants and leisure facilities at St. Andrew’s Park will add increased vitality to Uxbridge’s town centre. Our primary goal is to breathe life into places to create better futures. We want to understand what a good estate management service means to you. The best way to do this is to ask your opinion. So we’re undertaking an honest assessment of the challenges and opportunities; understanding what is done well and what could be done better is vital. We would like to know what your experience is of the management service and how important each element is to you. Whether you have had a positive or negative experience, we would love to hear from you. When you live at St. Andrew’s Park, you help to shape it. We take into account your ideas as the area grows and evolves. We are currently trying to understand our resident’s travel needs. We will use the information we collect to support travel initiatives through the St. Andrew’s Park Travel Plan. Once finished, the St. Andrew’s Park Travel Plan will be available to download here.